Data Theorem scans & secures mobile applications. We have built a technology to automatically scan and detect security and privacy issues in mobile Apps (Android, iOS, Windows Phone). We work with large and small companies within various industries (financial, tech, healthcare, etc.) and help them make their Apps more secure. We are a small (~20) team made of mostly engineers, and are a profitable and highly-technical company with some unique challenges. Every employee has a significant impact on the company's product and direction, and has the opportunity to grow and take ownership of the projects they care about. 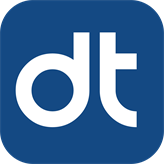 See 1 more job at Data Theorem, Inc.